MILWAUKIE, Ore., (February 27, 2018)—Dark Horse continues to expand its Berger Books imprint with legendary Vertigo founding editor Karen Berger with a tenth anniversary edition of Jonathan Ames’ The Alcoholic. Jonathan Ames is the creator of HBO’s Bored to Death, Starz’s Blunt Talk, and the critically acclaimed writer of Wake Up, Sir!, The Extra Man, What’s Not to Love?, and You Were Never Really Here, now a film starring Joaquin Phoenix. 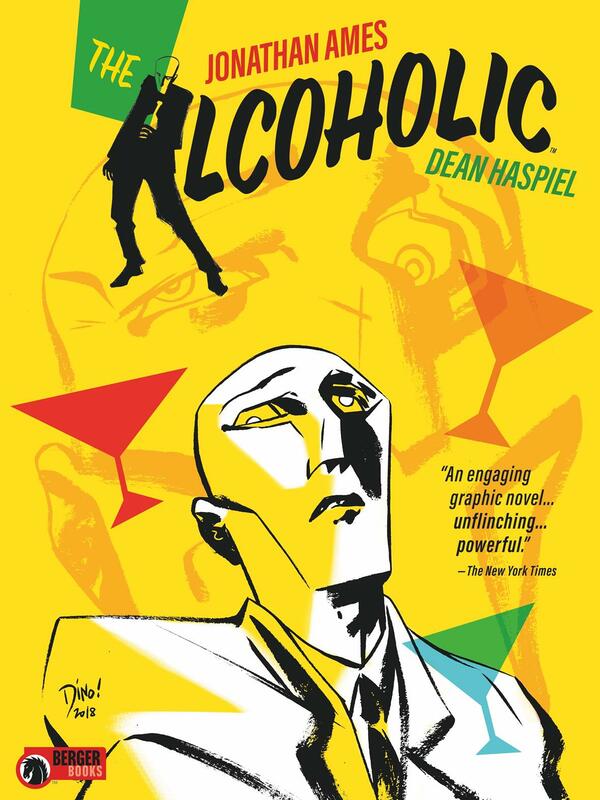 The Alcoholic marks Jonathan Ames’ first foray into comics and is illustrated by Emmy Award winner and Eisner Award nominated artist, Dean Haspiel (The Quitter, Billy Dogma, The Red Hook). The Alcoholic: Tenth Anniversary Expanded Edition TPB goes on sale September 12, 2018, and is available for pre-order on Amazon and at your local comic shop. The new edition also features a new prose piece by Jonathan Ames expanding on the story material, as well as a special behind-the-scenes artist section!